When celebrated physicist Stephen Hawking died earlier this year there was a service, in a church, for one of the world's best-known atheists. His first wife, Jane, is a Christian and may have had some influence on this decision. Today there is a memorial at Westminster Abbey, another Christian place of worship, where his ashes will be interred alongside other great scientists such as Charles Darwin and Isaac Newton. Its interesting because Darwin also moved away from his Christian faith after the tragic death of a daughter, although his wife remained a devout Christian. When I first saw Darwin's marker in the Abbey as a 19-year-old I wondered why he was buried in a place of worship. These are mortal remains, "earth to earth, ashes to ashes, dust to dust." Perhaps these brilliant men will discover that they have calculated incorrectly and will be welcomed into a glorious new reality in the embrace of a loving, redeeming God. British actor Benedict Cumberbatch, who played Hawking in a BBC drama, and astronaut Tim Peake are among those giving readings at the ceremony.Professor Hawking died in March, aged 76, after a long battle with motor neurone disease. 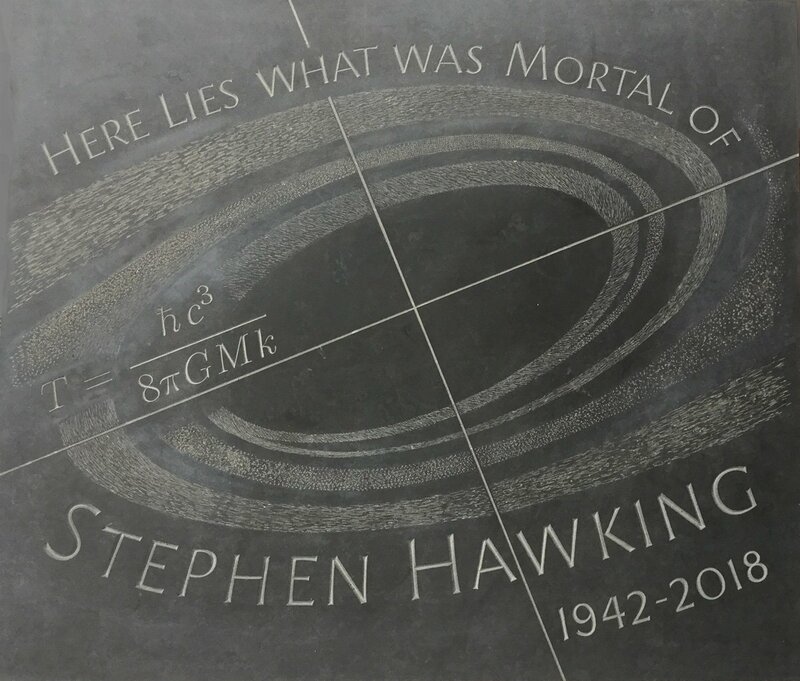 His words have also been set to an original score by composer Vangelis, which will be beamed into space towards the nearest black hole after the service.An address will be given by Astronomer Royal Martin Rees, and Hawking's collaborator and Nobel prize winner Kip Thorne will give a tribute. TV personalities David Walliams and Piers Morgan, musician Nile Rodgers and Professor Brian Cox have joined members of the public to celebrate the life of the scientist. One thousand members of the public, from more than 100 countries, were offered the opportunity to attend the service, after a ballot attracted 25,000 applications for tickets.